Hope today’s post finds you all well. 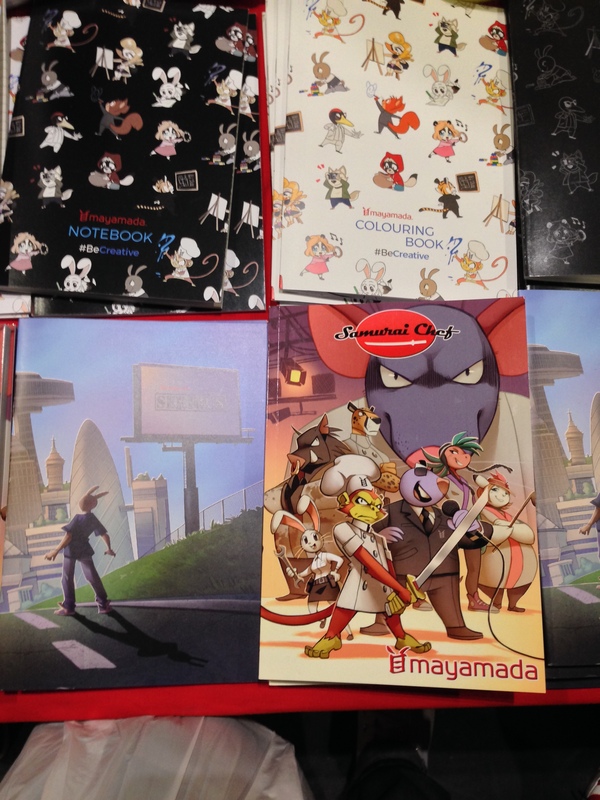 On Saturday, Rich, Nathan, and myself found ourselves at London’s biggest comics, movies and anime expo, MCM. The abbreviation literally means Movies, Comics and Manga for those of you who were wondering. Now this convention pretty much covers the three things we at Woo Long Talks love the most about niche culture, so our attendance at this was pretty much a no brainer. In fact, Rich and I have been going to this particular expo since 2009, so it’s a date that is always marked in our calendars. The dream, of course, is to one day be able to attend San Diego Comic Con. But, whilst the the allure is no doubt gripping, the price (international travel, accommodation, entry fees) are so high for us, it will have to remain firmly on the bucket list for now. There aren’t a great many conventions going in the U.K at the moment. This is not necessarily unexpected, we are a lot smaller than the U.S after all, but the interest seems to be growing. When Rich and I first attended MCM, attendance on the busiest days would normally hit around 15,000. This years autumn convention has seen around 130,000 attendees, which is a massive increase over a short period of time. MCM now host events all over the country, which is great for fans who may find it difficult making the trip to the capital, and it finally feels as if U.K geeks and nerds have something they can call their own. One of the great things about being a geek is the sense of community that is fostered amongst people. It great to see so many people coming together to share their excitement and joy at the things they love. I remember when growing up, the sense of isolation I felt at times when I told people I read comics and liked nothing more then watching the weirdest, most obscure movies from around the world. 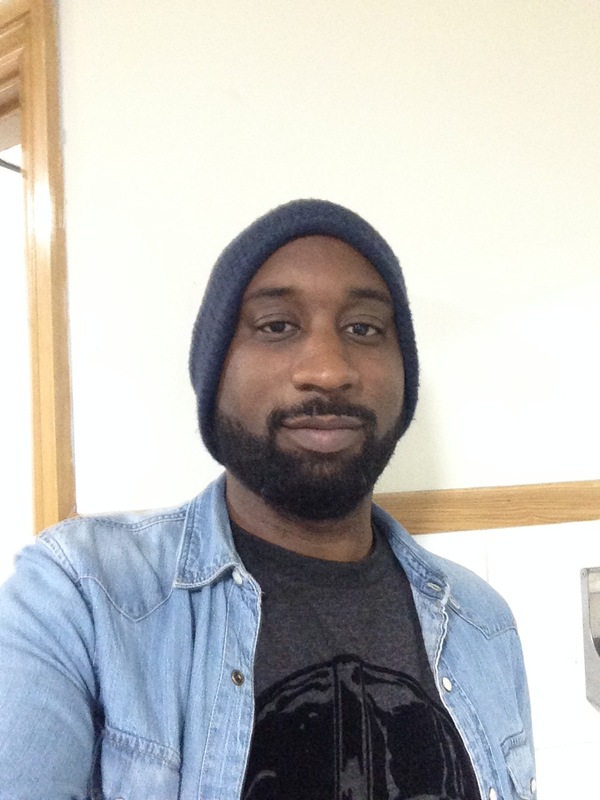 Being black and geeky meant you were met with twice the ‘push-back’ at times, so I was really pleasing to see a lot of diverse faces this year, young and older. 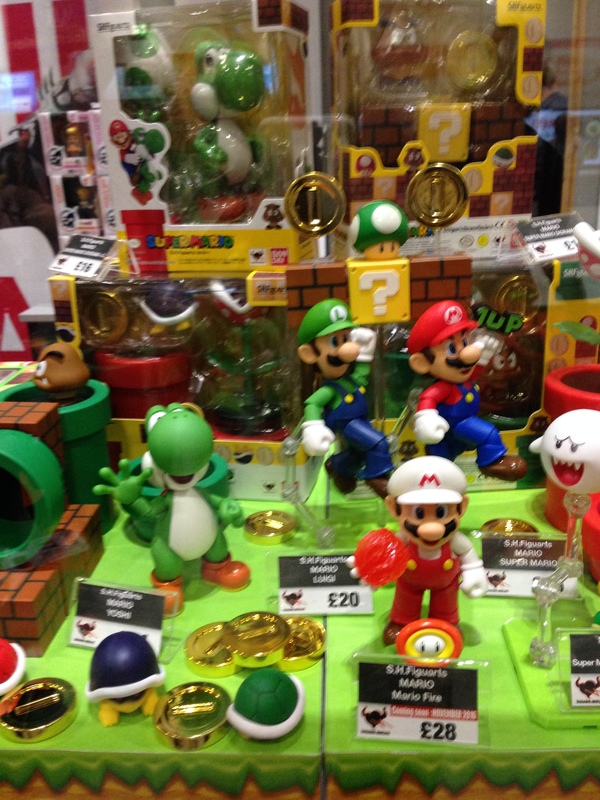 Lots and lots of Super Mario goodies! There’s an ever increasing focus on gaming at these events, showing the remarkable reach that video games have. There was a dedicated e-sports arena, along with tons of gaming merchandise as you can see from the above picture. Some of the best collectables and toys came from a company called Tamashi Nations UK. If you’re a big fan of those things, you can find out more on their official UK Facebook page. If Independent creators are more your thing, you should definitely check out Mayamada. It’s a great British brand that produces clothing, merchandise and manga, all based on original designs. The manga in particular, looks like a very fun read, visit their website for more information. 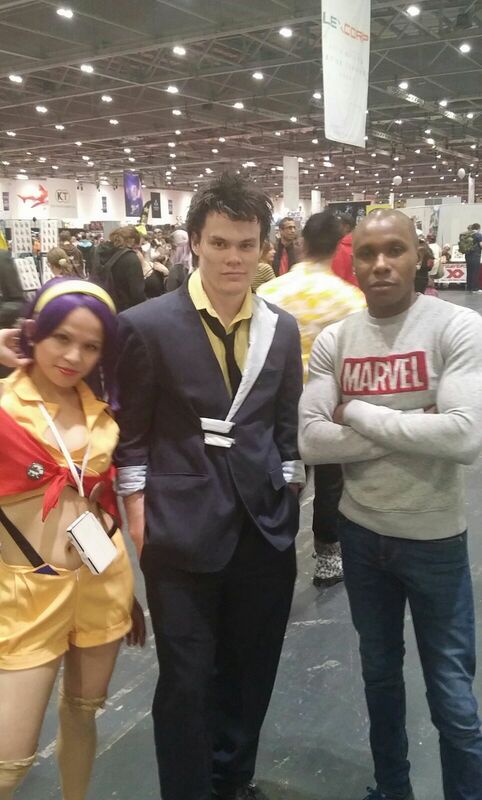 Rich, with some Cowboy Bebop cosplayers! We had a great day, there was so much to see and do, we literally didn’t have time to sample everything. MCM is a fun way to socialise, shop and experience the things that make being a geek great! If you are based in the U.K and would like to know more about MCM, you can visit their website for more info. We also have lots more photos for you to enjoy on our official Instagram account if you would like to see more about our day. That’s your lot for now, see you all tomorrow!